Note: You can enroll in any month of the Enrollment Periods at any time. Enrollment is ongoing until all spots are filled. If you would like to reserve a specific start time a $500 deposit is needed to save your spot. Please specify which Enrollment Period you are interested in. Jump Start option for Group Training: No need to wait for the program start date. You can start anytime and get a head start on classes, requirements and also get in some private mentoring. Take advantage of our NEW LOCATION DISCOUNT PRICING OPTION! Go to www.LaurieAhlemann.com for more info about Laurie. Long Island Yoga School offers private and group trainings in Rocky Point & Farmingville, Suffolk County – Long Island Great Neck, Nassau County – Long Island and Douglaston, Queens. Contact Us or call 917-757-0922 for more information. The practice of yoga is such an amazing process. We align the physical body enabling it to become strong and supple while also, sometimes without our knowledge, aligning the energy body helping us achieve more vitality, balanced emotions and a clearer mind. As a yoga teacher, we have the perfect platform to extend this knowledge of healing Self to helping others heal themselves. We are given the opportunity to be of service and bring our unique message to our communities. In addition, there are many people of all ages and fitness levels discovering the amazing benefits of this magical practice. What is needed to serve as many as possible is the ability to teach to a wide variety of levels in the same class. These skills can make a huge difference in how students’ respond to the practice and if they return to their mat time and time again. Our commitment to you, here at Long Island Yoga School, is to provide you with an education that enables you to do just this. We cover yogic philosophy in a way that applies to life as we live it now as well as give you the knowledge to help students move to a deeper place within themselves through the physical practice. The Prana Shakti Flow™ philosophy of teaching has been in the making for over 10 years and has been fine-tuned to give all the necessary information for a strong solid foundation but with plenty of room for you to develop your own unique teaching style. Solid Working Foundation: We offer clear guidelines for sequencing and cueing with an easy to follow format giving new teachers the ability to write and memorize their sequences quickly with the ability to teach an energetically balanced, fun and educational class. Quality Well-Organized Program: We provide you with a solid foundation to build upon. Some trainings offer quite a bit of variety of yoga styles and subjects that cannot be covered properly in a 200-hour training. Rather than confusion, we offer workable knowledge and show you how to utilize it in class themes, meditation classes and workshops. Rise Above The Competition: Our graduates go on to work in successful studios all through-out Nassau, Suffolk and Queens as well as open their own studios. In addition, during auditions for potential jobs, graduates from Long Island Yoga School beat out the competition every time. If you would be interested in speaking with a past graduate please contact us to hear how different and beneficial this training is. Coaching: As a new teacher, it is a scary concept to get up in front of a room full of people. The key to doing this successfully is to teach with conviction and hold command of the room. We will offer you proven techniques to not only appear but also feel confident, leading to students having complete confidence in you while they are led through a safe, educational and enlightening experience. Easy to follow format: You will leave this training with a written format and understanding of how to Sequence, Cue, Theme and Assist specifically for a ‘True Open Level Flow’. What is ‘True Open Level Flow’? Anatomy Lab: Yoga Anatomy will be covered in its relationship to the postures. We break down each posture anatomically by pose type leading to a solid understanding of alignment in the body. This will sharpen the eye to see misalignments in students, offer the ability to create more anatomically intelligent sequences as well as bring more awareness to a personal practice leading to a perfect injury-free environment and a place to explore the practice fully. Principles not Postures Series: Rather than teach a bunch of cues per pose, we will break down the postures into different categories and teach the principles of each pose type. This results in a much clearer understanding of cueing and assisting while offering a very easy way to remember it all. Prana Shakti Flow Energetic Sequencing Method™: We will cover anatomical sequencing based on the principles of each pose type bringing awareness to the wisdom of the physical body. In addition, the energetic components of each pose and how to use this knowledge to create energetically balanced sequences will be discussed. Taking into consideration the Anatomical Alignment coupled with the Energetic Components that exist in each pose, will lead to a more balanced mind and body after every class for your students and the ability to sequence safe, fun, and educational classes quickly and easily for you! Clear Cues: Say what you mean! Learn the proper way to phrase cues so students will have an easier time following and hearing them. With our method of delivering cues, a student with their eyes closed will be able to follow with ease! Philosophy: We will cover two of the classical yoga texts – The Yoga Sutras of Patanjali and The Bhagavad Gita. 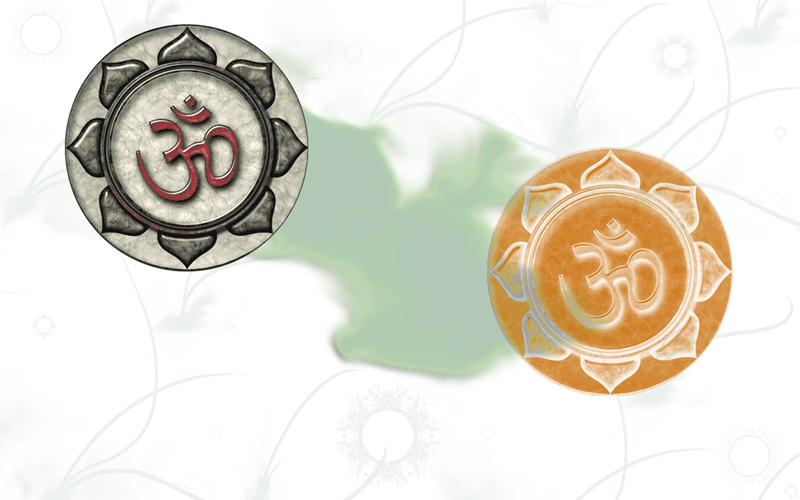 The focus will be on The Eight Limbs of Yoga, The Four Paths of Yoga as taught in the Gita, Gunas, Chakras and Nadis. In addition, we cover the concept of the Yin/Yang philosophy and the Koshas (subtle bodies) which is the heart of the Prana Shakti Flow™ Philosophy. Meditation: We teach effective ways to lead a meditation to various levels of practitioners and how to make students’ feel comfortable being where they are and getting what they need. We can also help you develop a meditation practice of your own. Business of Yoga: We discuss how to succeed in the competitive world of teaching yoga – what materials are needed, where to get jobs, how to create jobs, and how to shine and rise above the competition. Contact us for the 200 Hour required reading list. Note: There is a required materials fee of $175 due on the first day of training. When program is complete you will be eligible to register as a RYT200 with the Yoga Alliance. Other payment plans may be available depending on time of enrollment. Please Contact Us for details. Contact us for Private 1-1 Mentorship Pricing Plan. All class requirements are included in tuition. A $100 fee will be applied if a cancelation occurs anytime before or up to 14 days prior to start date of training. A $300 fee will be applied if a cancelation occurs 13 days or less prior to start date of training. Please note you may use the credit for another training ONLY. Credit expires in two years. There will be no cash refunds.